I don'r read French that well, speak it terribly and am not up-to-date with modern French novels. Basically, I'd like to give (crimbo coming up and all that) a couple of decent recent novels written in French to a friend of mine who prefers the feel of the page over e-books and so on; and who doesn't have that much spare cash. She's not into deep philosophical stuff but more interested in well-written narratives, maybe some love interest, perhaps a bit of intrigue/mystery. No big deal if she doesn't take to what I give her; they can always be changed. So...good French novels of the last two or three years, please, if anyone can oblige? If it has to be THAT recent, PF/Kev will have to be your man. 5 years is good enough. Thanks. Yeah, PF/Kev is the one to ask here but the first name that came to mind (and it's probably a very obvious and banal suggestion) was Laurent Binet, author of the very fine HHhH - a fictionalised retelling of the plot to assassinate Reinhard Heydrich. Some passages I could have done without - namely those where Binet breaks from the narrative to talk about breaking up with his then-girlfriend - but for the most part he's successful in transforming what would have ordinarily been an airport novel into a compelling, moving story about courage and sacrifice. I've not read his latest book, The 7th Function Of Language, but it's had some very complimentary notices. HHhH was serialised on Dutch TV, a very compelling series at that. Well worth catching if it is ever on UK TV (if it hasn't been already). In French or translated into English? (not many are). Any preferred genre in particular? I've written about contemporary-ish French novels in this thread, not necessarily things I've read or liked but French novels in general that have been published in the last decade, I can try to find those posts if you're interested. I think Felicity I guess so has written about D. Daenincks on here (https://en.wikipedia.org/wiki/Didier_Daeninckx). In French, Pérou. The original. Just about any genre really as long as it's not too "heavy". Nice suggestions so far: I'll be taking a closer look over the weekend. OK, I'll have a look at what posts I've written on this here. Recent, not too heavy, well written, with a bit of love thrown in and also mystery hmm, the popular Guillaume Musso springs to mind, maybe Parce que je t'aime (2007), not my bag but he is a leading contemporary proponent of the genre in the Francophonie. On Virginie Despentes, for the excellent (IMO) Vernon Subutex 1 (warning: her prose and subject matter are very much an acquired taste, probably not for your friend, it is a little heavy going - well, a lot actually). On Daniel Pennac, on zany Belgian Amélie Nothomb (her novel Stupeur et tremblements, on Japanese culture – she partly grew up in Japan – is funny; she is a super star in the Francophonie, deservedly so IMO), on up-and-coming Leïla Slimani, on the late Patrick Cauvin (I really recommend the very underrated and little-known abroad E = MC2, mon amour, not terribly recent but great feelgood novel, I'm sure your friend would like it) and on Faïza Guène. About the latter. 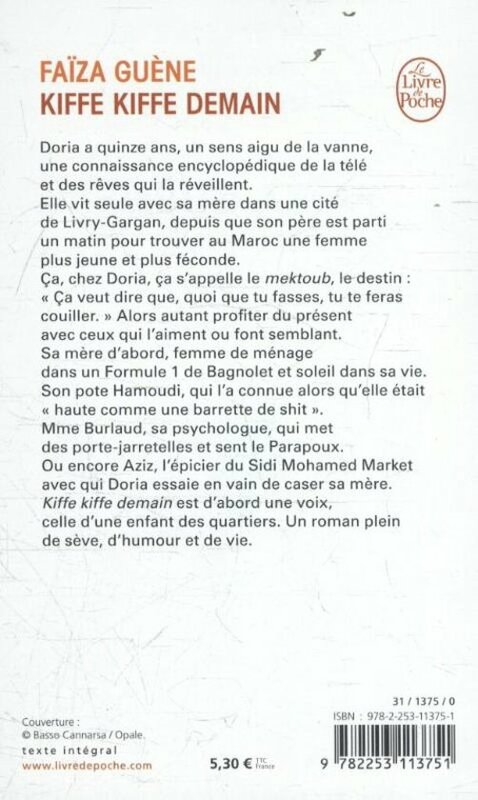 Her (short) novel Kiffe kiffe demain (2004) which I write about in that post above, again is not dead recent as per your criterion but good I think, a humorous and somewhat cynical take on life in the banlieues and in Morocco. It’s not Chateaubriand but it reads very well, it’s lively, everyday French, so plenty of colloquial and slang terms & phrases + (inevitably) some verlan (backslang) of course and plenty of culture-specific references too. I remember recommending it to the former main Alliance Française organiser in Newcastle circa 2005, an ex French uni professor who spoke very good (but extremely academic) French, and she told me afterwards she’d found it difficult to follow in places because of the non-standard French. It’s colloquial but not outrageously so IMO, may be only 1 or 2 slangy words/phrases per page (I mean, it’s not Alphonse Boudard but it will look very slangy/colloquial if you are not used to reading or hearing this sort of language). I remember showing it to her and she didn’t understand the title, kiffe kiffe, which really is very basic French slang – it means "to like" – from the Arabic kif. Then again, she didn’t even understand basic colloquial, not even contemporary terms such as flipper (to freak out). There is an English translation of the book, called Kiffe Kiffe Tomorrow, just in case, it’s can be very useful to have the English when tackling this sort of literature. “Kiffer” is a derivative of “kif”, which comes from Arabic meaning “hashish” (or at least something related to hemp, I’m a bit short on serious references), figuratively “sensation of pleasure (due to hasish)”. It usually means to appreciate, to enjoy, to like. I’m not sure it's still in use nowadays, but it was enough in the nineties to warrant its apparition in Le Robert 1, 1993 edition. It’s true that the double kiffe is not the easiest turn of phrase to understand for non French readers, kiffe on its own is basic (to like) but this double kiffe is a play on words, as kif kif means "the same". So, with kiffe kiffe demain as the title, the author is saying that you should try to embrace the future with hope etc. but also be prepared for it to be a big of a groundhog day, especially if you live in relative poverty in the banlieues. Anyway, I think it's a good contemporary novel for s.o looking to expand their knowledge of French literature). Thanks for that suggestion you two, I’d only heard of Laurent Binet (because of his Goncourt for HHhH). Among the big contemporary hitters, Raphaëlle Giordano is famous too, for her novel Ta deuxième vie commence quand tu comprends que tu n'en as qu'une (2015). Anna Galvada, also very popular author, witty, humorous, romantic stuff. Fred Vargas is very famous too, crime stories, never read her. 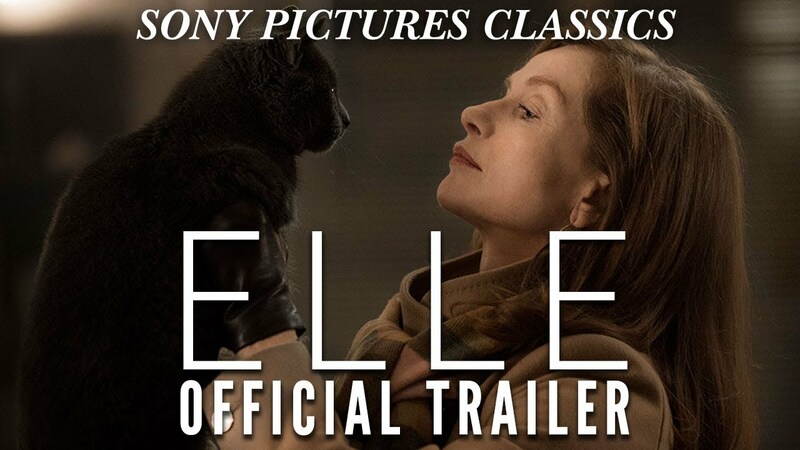 The other day I watched the controversial French film Elle (2016), starring Isabelle Huppert and Charles Berling mainly (a very watchable film IMO, thought-provoking). I’ve re-started watching more French films as my wife is learning French so she buys lots of French DVDs on Amazon mainly with subtitles, and a bit at random. Anyway, Elle is based on a 2012 novel by Philippe Djian (Oh..., 2012), Djian was very popular in the 1980s (rose to fame with his novel 37˚2 le matin, from which the film Betty Blue is adapted). So, as I have a few of his old books, I picked up one of them, Bleu comme l’enfer (1983), which I had read, but back then in 1983. I thought it was still very readable. Turns out also that a film was made after the book (I didn’t know). Last edited by Pérou Flaquettes; 29-11-2018, 20:55. Very interesting, Pérou. Gong/Planet Gong spin-offs Hear and Now had a French drummer called Kifkif le Batteur. I always thought his real name was Keith. I've read a couple of Virginie Despentes' novels and can highly recommend them. Vernon Subutex 1 is about a man-out-of-time and a nice commentary on modern metropolitan France, particularly the move from idealism to cold hard conservatism. Same goes for Edouard Loius. I asked a friend who is a French translator and she asked in her French circle in The Hague and they cameup with the following recommendations. Pierre Lemaitre's The Great Swindle, or en francais, Au Revoir En-haut. It's set in the last bit of WW1 and the years immediately after, about the effects of the war on individuals and society and a plan for revenge by some of those individuals on society. There's some love interest, it's about an intrigue, and the prose in the English translation Fussbudget's sister got me for my birthday rendered it a cracking narrative - I can only assume it's better in the original. Plus there's a film version from 2017 that's slightly different but in a good way. Thanks to all. Will be making my selection soon and will let you know what I have ordered.